The Sacred Garden is housed within a 10,000 sq. 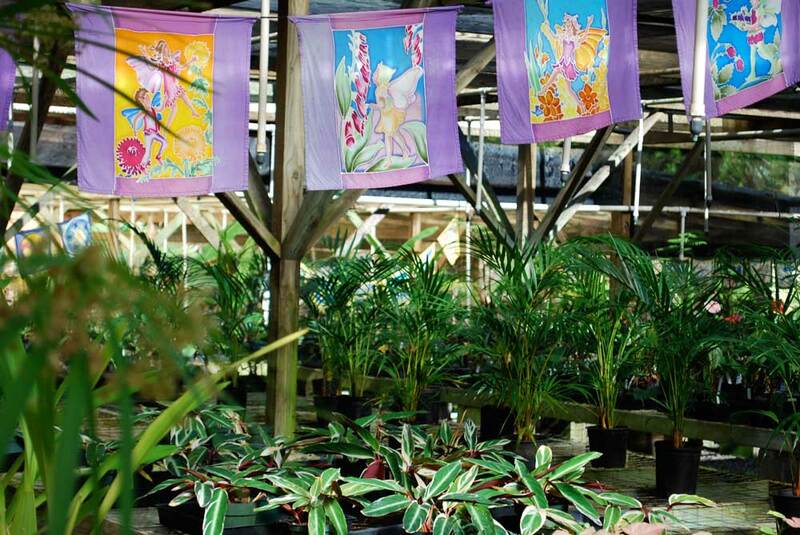 ft. nursery full of ornamental, tropical plants, water gardens, dish gardens, palms, succulents, and orchids. surrounded by beautiful lush greenery in the midst of historic Maliko Gulch on the island of Maui, Hawaii. We specialize in gift plants that are immediately ready for holidays, birthdays, condolences, celebrations, weddings, baby showers, and sweet gestures for friends. We also have immediate access to organic veggie starts, palms, and may have the ability to get you special, unique plants…so let us know if you are looking for something specific and we’ll see what we can do! 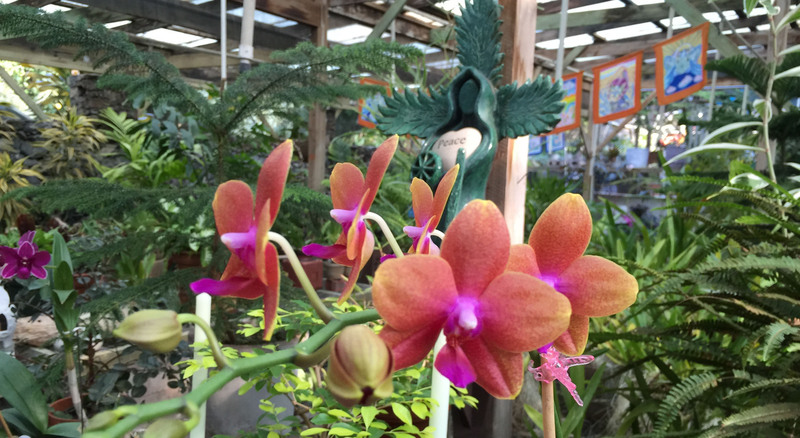 Whether you are seeking to purchase plants for your garden or landscape, or simply want to explore a botanical garden on Maui, get inspired, enjoy nature or purchase a gift, The Sacred Garden will exceed your expectations! We specialize in Living Shrines, Fairy Gardens and Miniature Sacred Gardens and we can help YOU MAKE YOUR OWN! We have all the ingredients for your very own dish garden! Joey, Ona or Erica will likely be the ones who great you when you arrive at Maui’s most beautiful garden and will be happy to assist you. Eve Hogan, owner and Executive Director, is on the property regularly and is happy to meet with you. 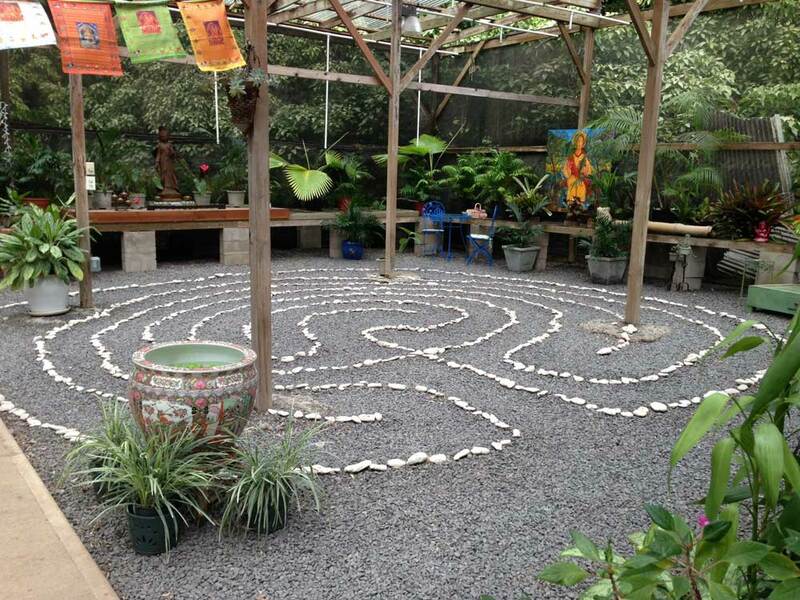 She also provides private coaching sessions and workshops, retreats and labyrinth walks for your groups and organizations! She is also a wedding officiant and can help you create the perfect ceremony. Open to the public, 9-6 in the summer, 10-5 in the winter. 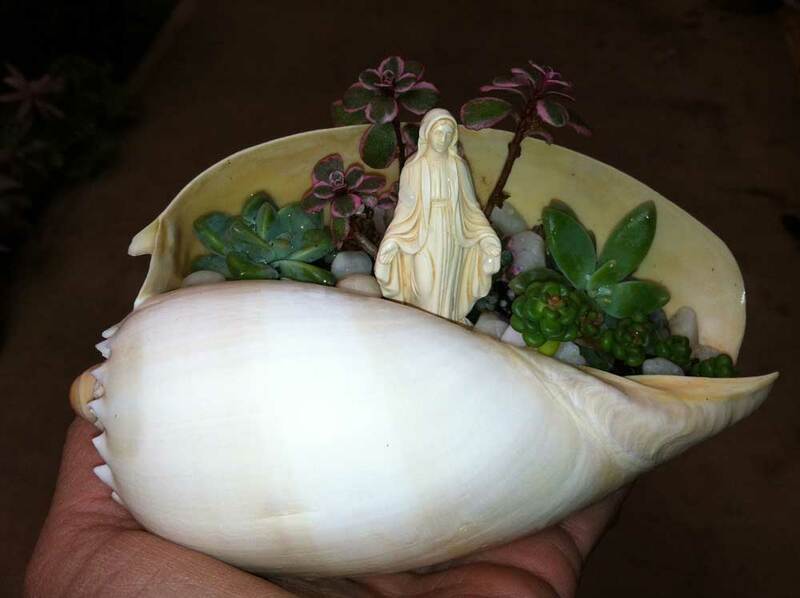 We have an extensive succulent garden that allows you to create your own miniature sacred gardens, dish gardens, living shrines or fairy gardens, or buy one ready-made, or put a variety of succulents in your yard for drought resistant, high sun tolerant and beautiful landscaping. One the “upper level” of the nursery, we also have sitting areas, picnic areas, meeting space and classroom space for public or private use. Also known as our “Gratitude Garden” where we display rocks with our gratitude for our donors and supporters. 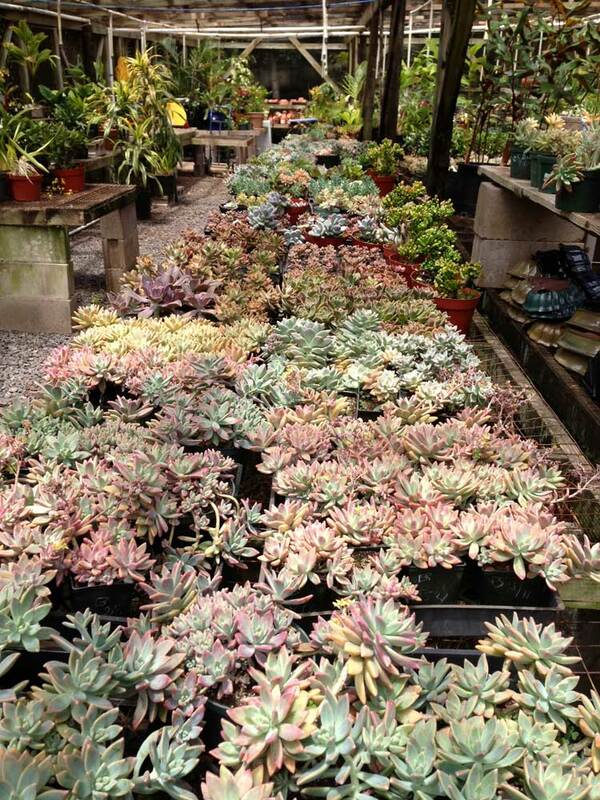 It is a heavenly place to spend an hour or two….or all day! Grab a cup of our complimentary tea or hot chocolate and settle in with a friend, a book, your artwork or simply be present and peaceful in the garden. 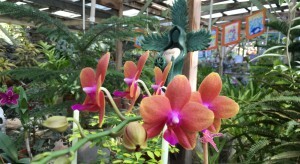 Our Covered Greenhouse offers a wonderful place to be rain or shine, and the shade cloth lets you get out of the sun on our hottest Maui days….However, The Sacred Garden is located at 1100 ft in elevation so it is always 10 degrees cooler than sea level and a far more comfortable climate. In the winter it can be cool, as well as in the evenings so bring a jacket. 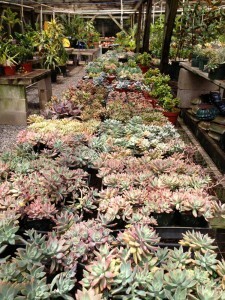 Aim to wear flat shoes at the garden as much of it, including both labyrinths, is gravel. We do have cement sidewalks however making much of the greenhouse wheelchair accessible. Gardening classes, as well as Aromatherapy and Medicinal plant classes take place in the garden from time to time and can be arranged for your group or organization! 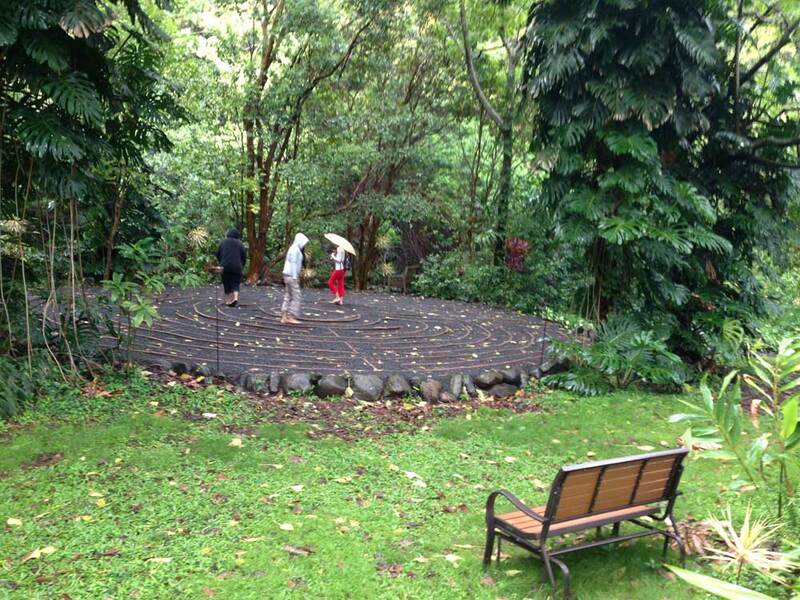 We have two labyrinths on the property, one 7-circuit inside the greenhouse, and one 11-circuit under a kukui canapy. 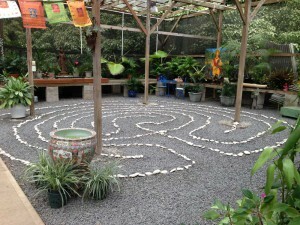 Picture taken of The Sacred Garden Labyrinth in the morning before the flood.